Usually I do not collect ID-Cards but this German PASS-KARTE from Prussia is a exception because it was issued to Princss Marie zu Sayn-Wittgenstein, which is one of Germany’s oldest noble dynasty. Definitely a nice finding for my collection. Here is the brief genealogy and of course pictures of the PassKarte. 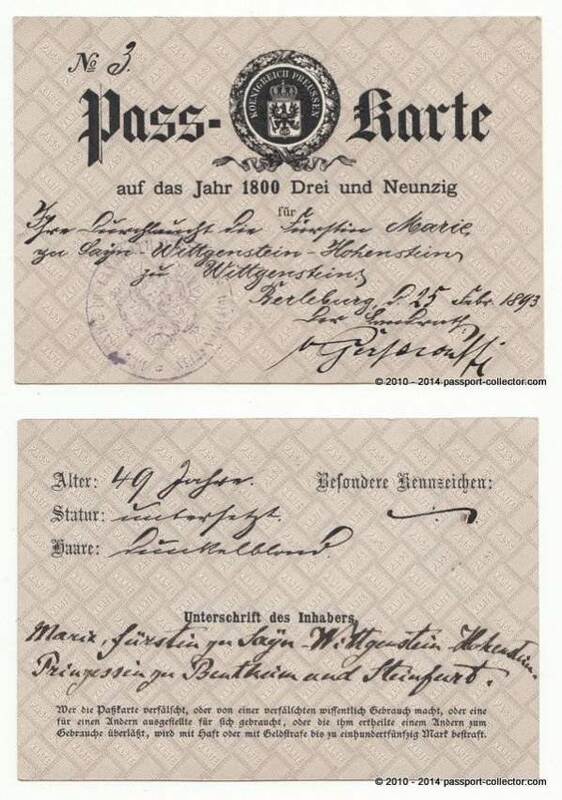 This document was Germany’s first standardized ID-Card. Her Pass-Karte was issued 1893 at that time she was 49 years old. Look at her long signature – impressive, right?